WICKED INTENTIONS is now FREE for a limited time! 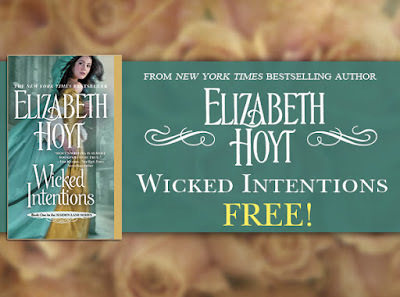 The ebook edition of WICKED INTENTIONS, the first book in Elizabeth Hoyt’s bestselling Maiden Lane series will be FREE from November 28 through December 12! This is a great opportunity to introduce friends to the series! On December 13 the price returns to $5.99.